Four fresh 800s give the original muddy funkster a new lease of life. Ducati's new Café Racer is pretty cool, eh? Ducati changed the retro scene when they thudded into view with their air-cooled 803cc Scrambler family back in 2015. 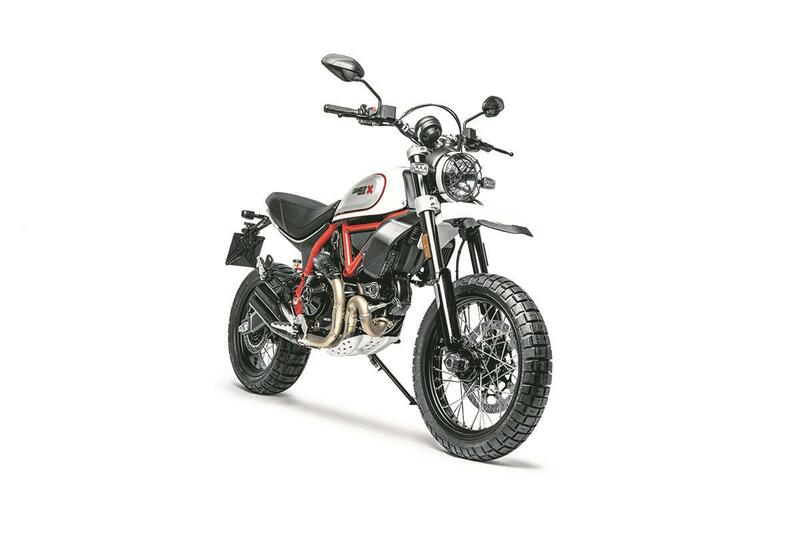 The cute mix of peppy-but-flexible engine, attractive but quirky styling and that undeniably Italian flair all conspired to make it an instant winner – perhaps with the exception of the Urban Enduro, which faltered rather than flew. The Desert Sled that followed has been a rampant success though. For 2019 the whole family – comprising Icon, Full Throttle, Café Racer and Desert Sled – get a host of relatively minor shared updates. The most obvious is the new DRL headlight that looks sharper, cleaner and more modern – and which Ducati claim works even better for daytime visibility, too. The new LED indicators are now auto-off, preventing that all-too common signalling faux pas, and the switchgear has been redesigned to work better beneath your fingers, and allow easier navigation through the updated LCD clock unit, which now includes fuel level and gear indicators. There’s also media connectivity that now lets you hook up to listen to music, take incoming phone calls, or talk with a pillion via intercom. 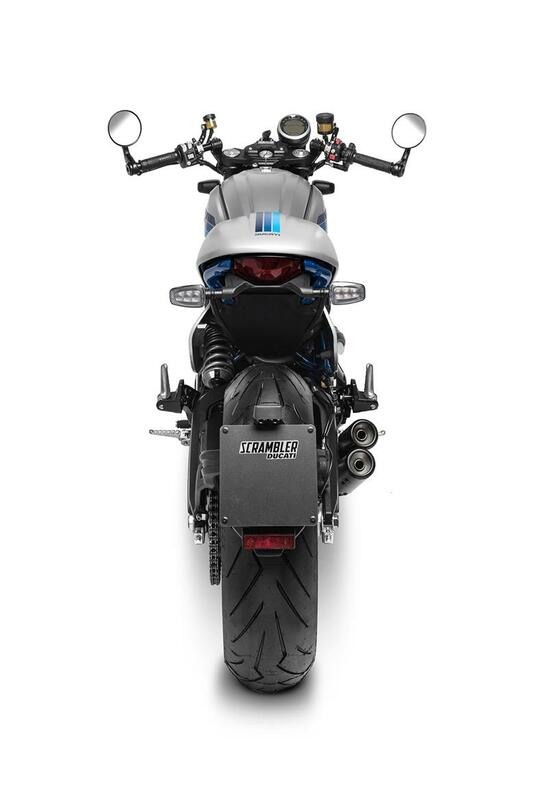 The family also gets the latest version of Bosch’s ABS system coupled to an IMU that means the Scramblers now have cornering ABS, but Ducati have still stopped short of adding traction control to the package, which does seem like an odd omission in 2019. The clutch cable has given way to a new hydraulic set-up for a softer and more progressive feel at the lever, and both clutch and brake levers are now span adjustable. The throttle action has softened marginally too, thanks to a more relaxed action at the grip that means you need to twist it more for the same effect. The prettiest of the new versions is the Café Racer, despite having a blue seat. 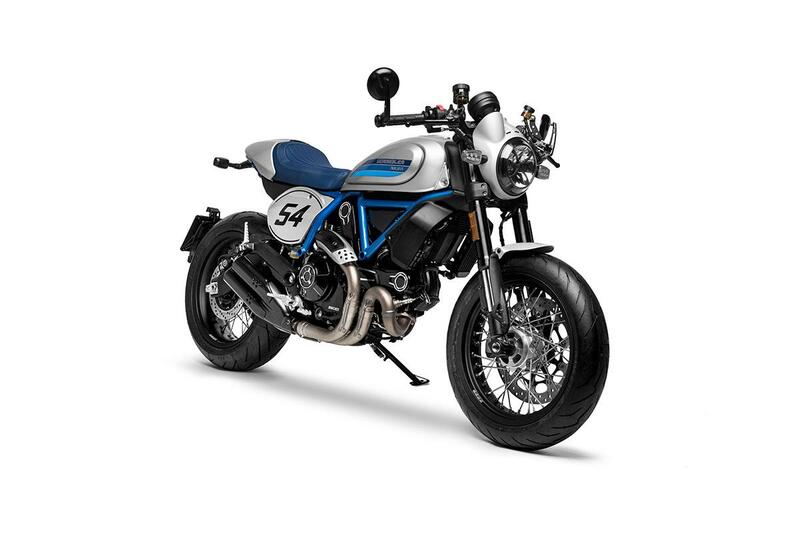 Beyond the shared changes, it also gets new 17” spoked wheels wearing Pirelli Diablo Rosso III tyres, and a fantastic new retro paintjob and blue frame thjat Ducati say is a nod to the original 900SS, while the number 54 is a nod to factory rider Bruno Spaggiari. The Desert Sled remains largely unchanged beyond the full complement of shared updates, a classy new colour option and a new 860mm seat. Finally, the Full Throttle gets a new two-tone yellow and black paintjob in homage to the American Super Hooligan racer Frankie Garcia, a flat track inspired rear-end, new seat, number boards, low-slung bars, a stubby front fender and Termignoni pipes. The original Scrambler is now a serious collector’s item. Not that many were made, and good proportion will have been snapped in half off-road down the years. Find yourself a super-clean 250 or the even more attractive 450, and you’ll be parting with the same sort of cash that would buy a 2019 model 800. 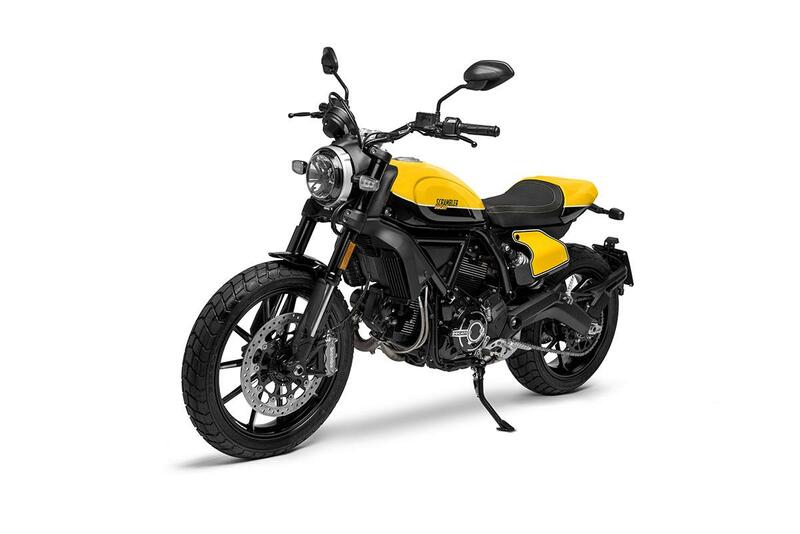 We rode Ducati's Scrambler Icon 800 in September 2018 Ducati's new Café Racer is pretty cool, eh?